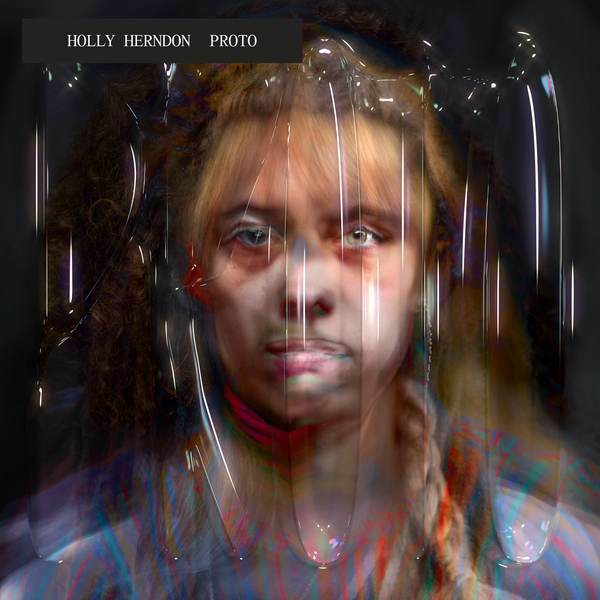 Holly Herndon's third full-length album PROTO isn’t about A.I., but much of it was created in collaboration with her own A.I. ‘baby’, Spawn. "For the album, she assembled a contemporary ensemble of vocalists, developers and an inhuman intelligence housed in a DIY souped-up gaming PC to create a record that encompasses live vocal processing and timeless folk singing, and places an emphasis on alien song craft and new forms of communion. ‘Eternal follows the 2018 release of Holly and Jlin’s collaborative song ‘Godmother (feat. Spawn)’. The skittering track, which was created by Spawn reimagining the artworks of her ‘godmother’ Jlin in a trained model of her mother’s voice with no editing or sample trickery, was praised everywhere from NPR to The Guardian to New York Times, and elsewhere. Just as Platform forewarned of the manipulative personal and political impacts of prying social media platforms long before popular acceptance, PROTO is a euphoric and principled statement setting the shape of things to come."